I grew up in the 80s as an only child, and inevitably my musical taste was heavily influenced by my father. Somewhere between Bluegrass and oldies R&B/Rock, my father introduced me to Cuban-American singer/songwriter Gloria Estefan. I immediately connected to her upbeat, often soulful fusion music, and songs like Live For Loving You were often on repeat on my walkman. 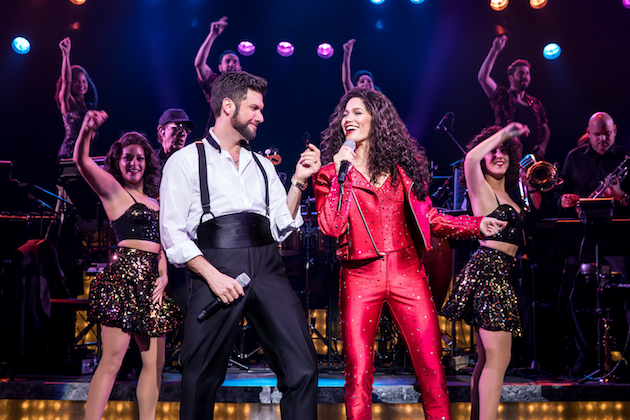 Three years ago, screenwriter Alexander Dinelaris wrote the book for On Your Feet!, a jukebox musical based on the lives of Gloria Estefan and her husband Emilio Estefan. The musical opened this week at the Segerstrom Center of the Arts, and features a score that anyone who grew up with her music will immediately recognize. 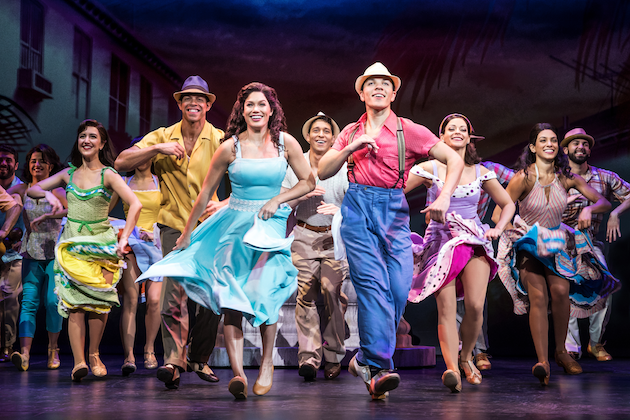 Co-produced by husband-wife team Gloria and Emilio Estefan, the musical follows the real-life story of how Estefan and Miami Sound Machine rose to success. The musical begins in 1990 during a concert before the accident that nearly crippled her and her career. In a flashback to her youth, her musical journey as an artist begins. Gloria’s passion and talent for music runs deep within her family. Her mother performed in clubs in Cuba, but life circumstances are such that she puts her dreams of music on hold indefinitely. On-track to become a psychologist, Gloria juggles her studies while caring for her ailing father. 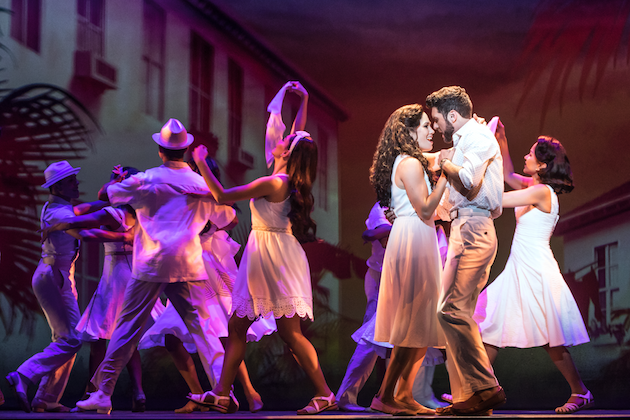 Hesitant to pursue music, it is Gloria’s grandmother who sees her talent and facilitates an introduction to Emilio Estefan, who is part of the Miami Latin Boys (aka Miami Sound Machine). One Your Feet! is vibrant and hopeful, and there is an innocence that mirrors this time in history. Gloria and Emilio’s love story is poignantly depicted, and their longevity as a couple in the entertainment industry is beautiful because it is so uncommon in our present time. But the challenges they faced are real as they attempt to break into the American market. Too Latin for the American scene, and too American for the Latin scene, the Estefans are repeatedly turned down by record labels. 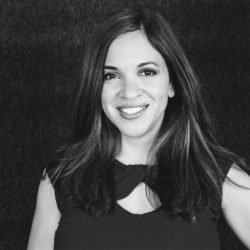 And just five years into her career, Gloria is critically injured in a tour bus accident that not only her ability to walk, but her identity as an artist. 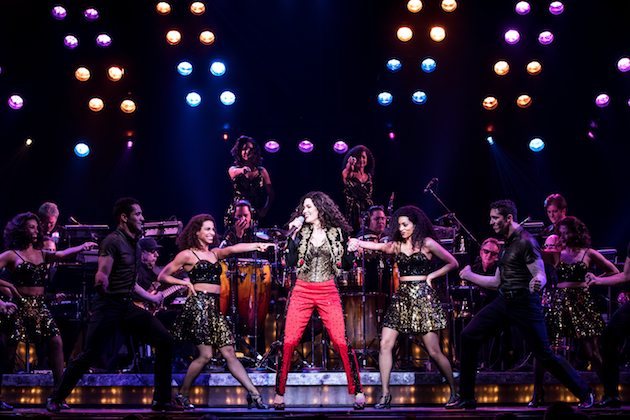 Gloria Estefan has sold over 100 million records and sold out stadiums around the world. Emilio and Gloria Estefan together have won 26 GRAMMY Awards. Tuesday – Friday at 7:30 p.m.
Saturday at 2 and 7:30 p.m.
Sunday at 1 and 6:30 p.m.
Tickets start at $29 and can be purchased online at SCFTA.org, in person at the box office, or via phone (714.556.2787).